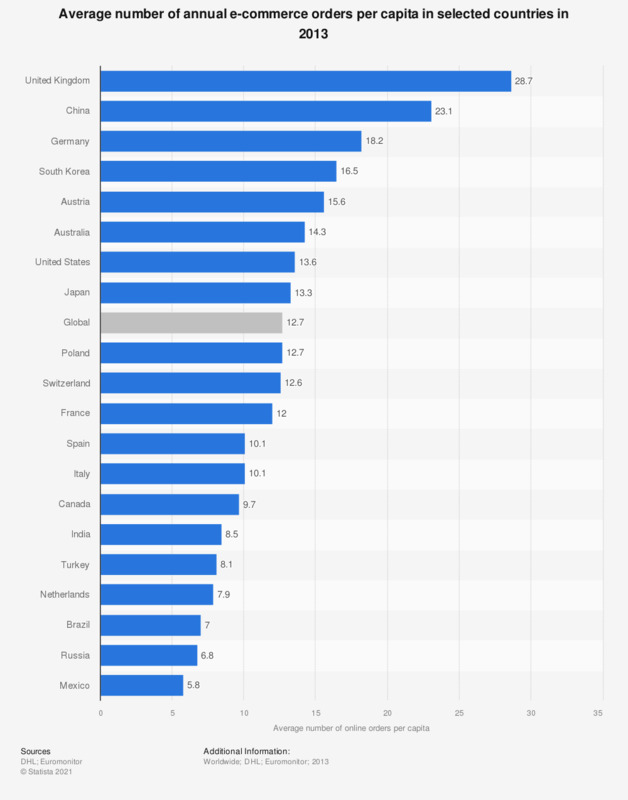 This statistic presents the average number of annual e-commerce orders per capita in selected countries in 2013. The number of online shopping orders per capita in Germany amounted to 18.2 per year. The United Kingdom was ranked first with 28.7 annual online orders per capita.